It has been reported in many publications that 38% of new clients do not return after their first visit. If a proactive veterinarian wants to reduce the no return rate, a number of articles and a few recent books have found an easy and proven strategy to turn a potential client into a LOYAL patient that can refer 13 new clients. 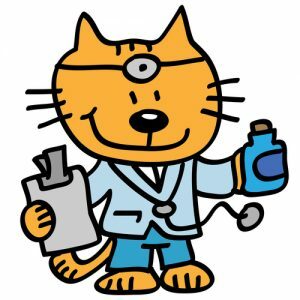 If a veterinarian takes a few minutes to explain and show a client how to prevent a disease, that client will view their doctor as a trusted friend who is interested in disease prevention for their cat. If kidney and urinary diseases are the most common and often the most expensive disease, every client will respect and trust a veterinarian who takes a few minutes to show their client how to prevent a serious disease and save money. Introducing a client to a solution before a diagnosis is almost unheard of. The client will remember this and tell their friends. Every feline nutritional expert agrees that water is the best preventative as well as the best therapy for treating kidney disease. Historically, veterinarians have told clients to “buy a fountain” and felt they were helping the client, but there are problems with big box fountains. Plastic and other poorly made big box offerings are porous and are the perfect home for biofilm to form and live. When the client discovers that the recommended fountain has chronic slime that cannot be cleaned, who is the client going to blame? Clients will blame the doctor, not the big box or the importer. If the client thinks both of you are on the same team with the same goals, you have a valuable asset. If you see your client as an ATM, there are thousands of unemployed or underemployed veterinarians who would love to poach your present clients with offers for free this and that. You will never be embarrassed recommending a Glacier Point Pet Fountain because Glacier Point is the only fountain that is easy to clean, easy to sterilize and provides refrigerated water which increases the consumption of water. Finally, the solution to the “business as usual” pitfall is really painless and can be a very profitable win-win proposition.